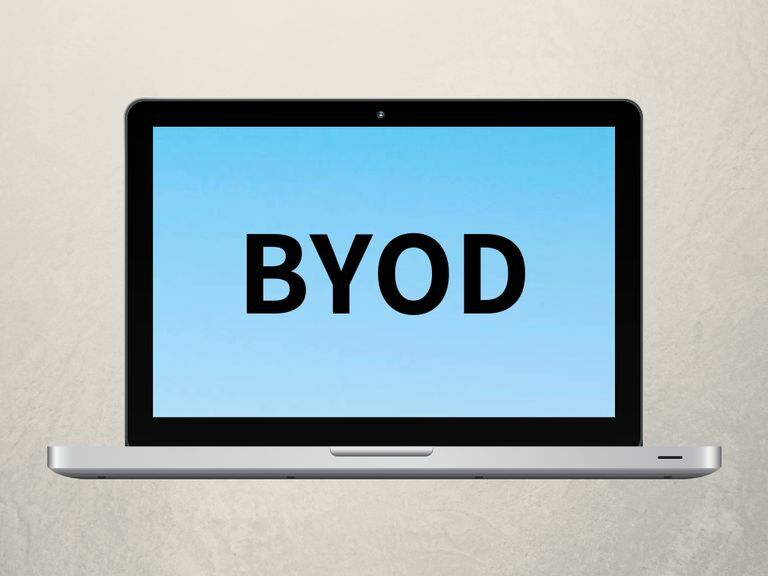 BYOD is an acronym you might see used at your current workplace or from a potential new employer. Here's what it means. BYOD is used in company/organization employment programs or policies to describe the use of personal electronic devices by employees. Instead of supplying devices like smartphones (as well as laptop computers and tablets) to employees, organizations might require them to use their own at work. Traditionally, organizations would supply devices to their employees. These days, the growing trend in mobile work and the greater likelihood that people already own and carry personal devices with them has led to more BYOD policies and programs being put in place. Some organizations offer both options, allowing employees to choose between BYOD or supplied devices. Despite the growing trend in BYOD policies and programs, the risks are not always worth it for some organizations. Check out some of the main benefits and drawbacks below for putting BYOD policies and programs in place. Despite the benefits of BYOD, many organizations are not willing to risk putting the security of their data and information at risk. And although it remains a popular trend, a 2018 study from Samsung and Oxford Economics says that the cost savings associated with BYOD policies and programs are not very significant in the long run. The above interpretations of BYOD are typically used in casual conversation—especially those involving invitations to events or social gatherings. Any time BYOD is used in a professional workplace setting, it should most likely be interpreted as Bring Your Own Device. What Exactly Is Mobile Device Management?